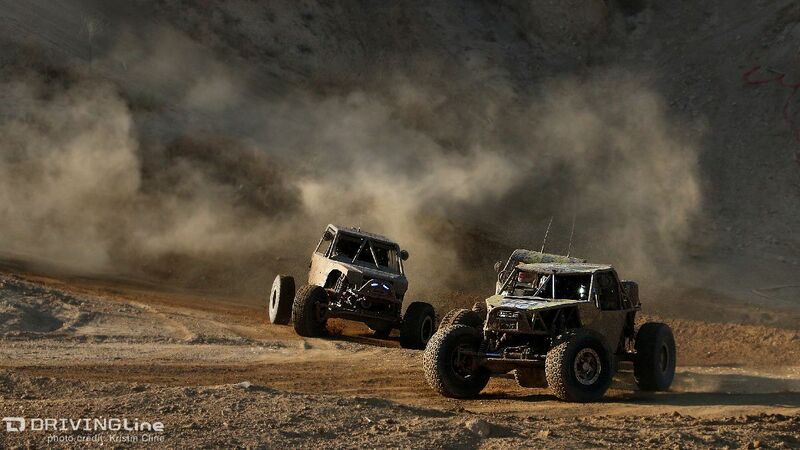 Things aren't ever easy at the 4 Wheel Parts Glen Helen Grand Prix... well, I suppose you can say they're NEVER easy in Ultra4 Racing. 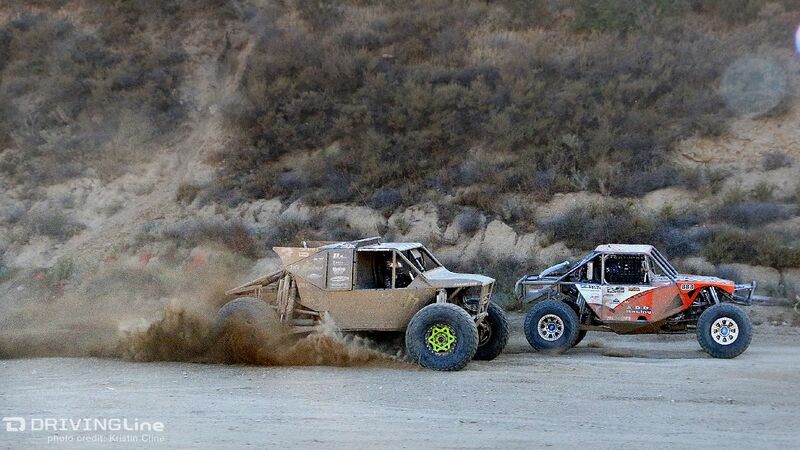 Saturday's race at Glen Helen, while not as hot or dusty as last year's race, seemed like a mini-King of The Hammers due to the hurdles each team seemed to be battling against. 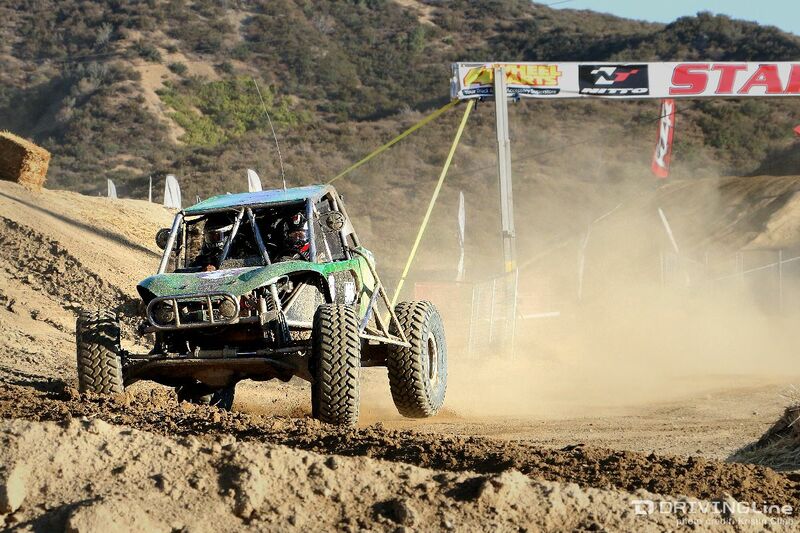 In fact, Bailey Campbell, who completed her first KOH race this past February, noted that the two hours of main heat competition at Glen Helen seemed even more difficult than her 16 hours of endurance at KOH! 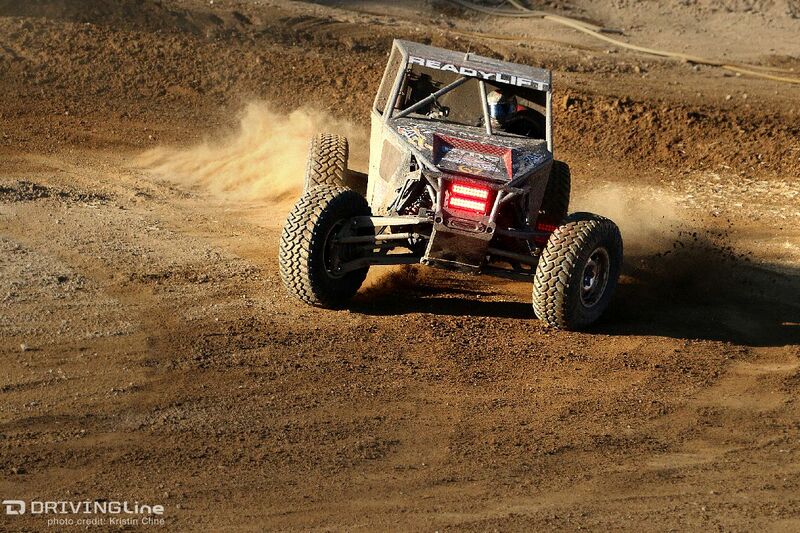 Loren Healy, who's "Red Dragon" buggy first raced and won at Glen Helen last year, came back victorious again - starting on the pole and holding onto first place nearly the entire race. Things began heated as the top five starters - Loren Healy, Tom Wayes, Jason Scherer, Levi Shirley, and Wayland Campbell - all aggressively set the pace. Wayes was soon out of the race with mechanical issues leaving the other four zooming around the 3.5 mile short course style track. It was Wayland Campbell who would gain footing over Loren for a few minutes about a third of the way into the race. Wayland, driving his "new" car for the first time (his new car being dad Shannon Campbell's old car,) drove it like he owned it and is exciting to watch as his very Shannon-like aggressive driving style continue to progress. It was about this time that Levi Shirley, holding onto fourth place, left the race course due to a transmission failure. Gaining back the lead when Wayland pit-stopped for fuel, Loren held on to it for the remainder, even after a multi-roll incident in the short-course portion of the track. 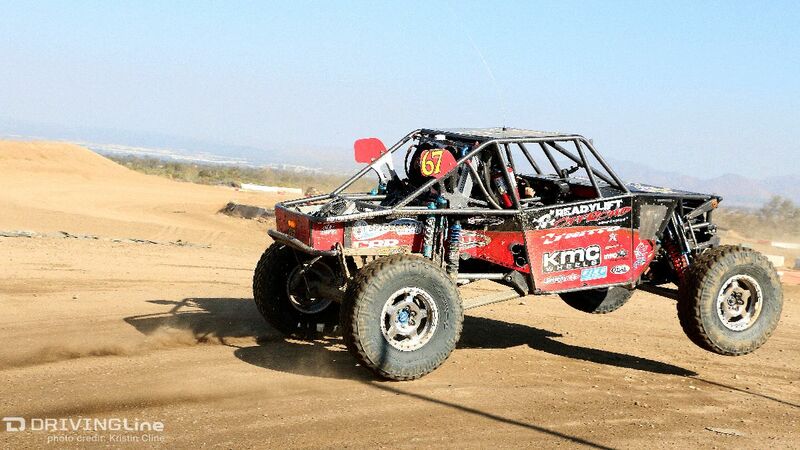 Similar to what Loren pulled off during this year's King of The Hammers, he rolled and kept on driving. This time however, he wasn't going 90+ mph when he rolled and was able to continue on without physical or mechanical issue. Meanwhile, Jason Blanton, who'd started in seventh next to Gary Ferravanti Jr., kept the momentum through the race's entirety and finished in second for his first-ever podium. Bypassing Jason Scherer after he'd pulled off with mechanical issues and Wayland after he'd lost his his rear wheel drive and couldn't power up the large incline hill with only his remaining 2WD. Jon Cagliero had also managed to hold his car together in the midst of two hours of very competitive driving and came in third. The driver who gets the "passing" award for this race is Derek West. After qualifying in the top five Derek ran into trouble during Saturday morning's prelims when his driveshaft took out some main engine wiring and left him sitting. Gaining one of the four available starting positions during the Last Chance Qualifier left Derek starting in 39th place out of the 40 starting positions of the main race. Derek proved again how consistent and skilled a driver he is as he picked competitors off one-by-one progressing through the field to a finishing position of fifth. 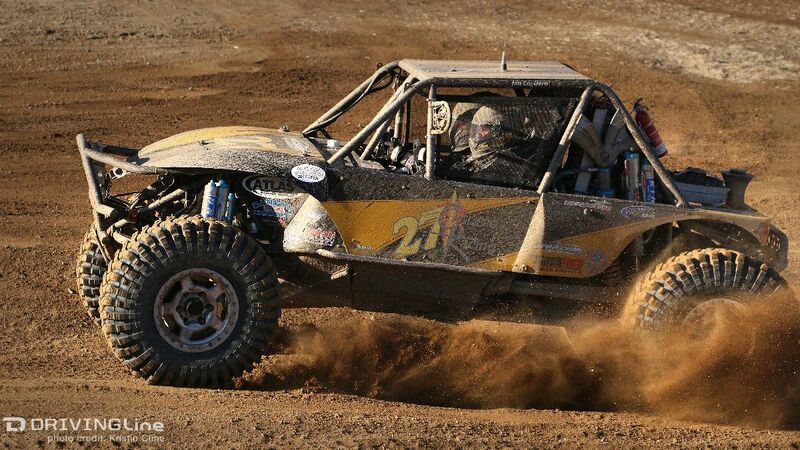 Adding yet another strong finish following his last race first place win at Badlands, places Derek in a strong standing for 2015 Ultra4 championship points. In addition to the three podium winners and drivers gaining championship points, 10 KOH pre-qualifying spots were given out. One of those winners was Bailey Campbell, who not only gained a KOH position but had her best-placed finish yet, coming in 8th after a 27th starting position. Having just graduated high school this summer, Bailey is showing that her driving is also graduating and she's becoming even more of a force to be reckoned with. 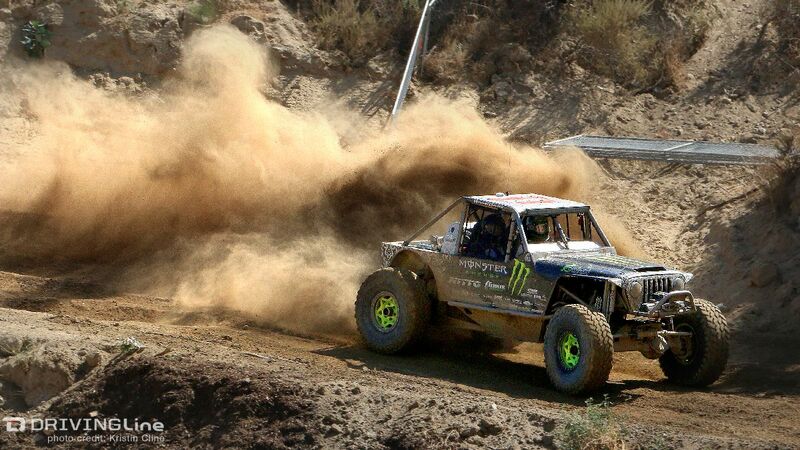 Indeed, the 110+ drivers who showed up to race at the 2015 Ultra4 Glen Helen Grand Prix all contributed to a fantastic racing weekend. Congratulations to Loren Healy for another great win! 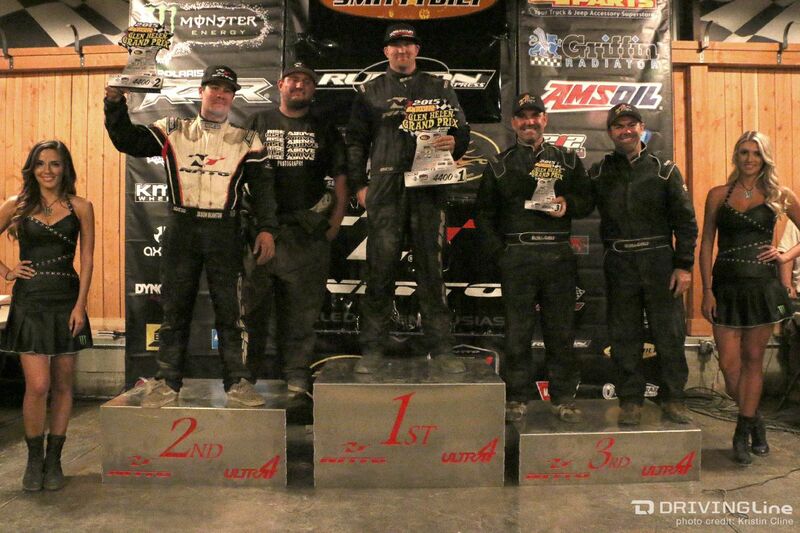 Click here for the Driving Line video and all-classes gallery plus full winning results.